When it comes to getting out of the comfort zone and taking care of the things in the outside world, that are under its power, Textedly is one of those companies that doesn’t think twice. First of all, Textedly team has not once proved its professionalism via delivering high-quality SMS marketing services and carrying out a customer-oriented policy. Secondly, our clients stay loyal to us not only because of the above-mentioned points which come in naturally but also due to the fact of seeing our respect and care for the world and for humanity. Textedly Impact Program is our little input in the well-being of humanity. The purpose of the program is giving back to the community and it presupposes the involvement of our customers. So, if you or your company needs SMS marketing services, why not choose Textedly and get not only high-quality services but also a chance to engage in charity work? How Does Textedly Impact Program Help Humanity? Now let’s have a closer look at what the essence of Textedly Impact Program is. Our company has developed a strategy to make donations to Rise Against Hunger. The strategy implies helping people survive hunger and reduce its amounts around the globe via simply sending text messages. This means that for every text message you send as a client of Textedly, we will make a donation to Rise Against Hunger. Rise Against Hunger is a non-profit organization aimed at eliminating hunger in the world. Its main goal is to stop hunger by means of providing food and other types of relevant aid to the unprotected and vulnerable parts of the world. The organization is led by the policy of creating a worldwide commitment to reach this mission and tries to involve all willing companies, businesses, volunteers and in general, everyone wanting to help others who are starving and lack resources essential for life. With its Impact Program, Textedly has also become part of this huge family and uses its resources and power to both add up to the resources of Rise Against Hunger and to involve people around the world in this sacred mission. In order to understand the importance of the mission of Rise Against Hunger, we should first have some knowledge about the amount of hunger in the world, about its destructive impacts on mankind, and of course, about this non-profit organization’s journey, its achievements and goals. Having been founded in 1998 by Ray Buchanan (a US Methodist minister) and initially called Stop Hunger Now (rebranded in 2017 to its present name), Rise Against Hunger has set a goal to end hunger in the world by 2030. The organization can fulfil this goal only with the help of people around the world. Around 821 million people don’t have enough food essential for healthy living. In 1990 the percentage of people lacking food and dealing with hunger was 24% which has decreased to nearly 10% nowadays. This means that having a world without hunger by 2030 is more than realistic. The highest amount of people facing hunger is in Africa and comprises about 21% of the overall population. Hunger and malnutrition result in the spreading of different diseases around the world. One important point in the policy of Rise Against Hunger is the fact that it’s not merely a program for feeding people and packing and distributing food. Rise Against Hunger aims at having a real and bigger impact over the issue. Hunger Champions: The organization has gathered a huge number of volunteers willing to help and contribute to the complete solution of the hunger problem in the world. They produce and pack millions of healthy meals on an annual basis. Afterwards, the meals are sent to partners in different countries. Partners in Other Countries: The partners of Rise Against Hunger play a very important role in the fulfilment of the mission against hunger. They know the details of the issue in their countries much better and can deal with the food distribution and usage methods according to their expertise and knowledge of the local hunger causes and effects. The responsibility of Rise Against Hunger is making sure that the food is used for the right purposes and in a wise way i.e. it helps change lives, enhances the education by providing nutrition to the students and children. The partners should also try to solve social issues such as gender inequalities, child labour, etc. All the changes should also contribute to the development of the economy and the creation of new jobs. Natural & Man-Made Disasters: In case of droughts, floods, earthquakes, or in war zones the lack of food can be a serious problem. People in such situations are deprived of the opportunity to have what we, the residents of developed countries, have - everyday access to food, stores and finances. These problems are also covered by Rise Against Hunger through its partners in the target countries. Enhancing the Agriculture: Rise Against Hunger organizes special programs that promote better agricultural development methods, business skills and knowledge and market access. These programs, as well as the ability to access high-quality seeds and fertilizers, develop the production and harvesting of a wide range of healthy and nutritious crops. Besides, fish and livestock production is also improved adding to food diversity. With its sustainable community development projects and the meal packaging program, Rise Against Hunger has managed to have a massive amount of global impact in the fight against hunger. The meals served at schools highly increase the attendance and motivation of the students. Adults start getting interested in learning and educating themselves as well and gain interest in improving their overall lifestyle. As a result of agricultural development, new jobs are created and income-generating activities are carried out which show people that they do have the potential to work and earn themselves. All of this leads to having a consistent source of food in places that were once affected by the destructive power of hunger. 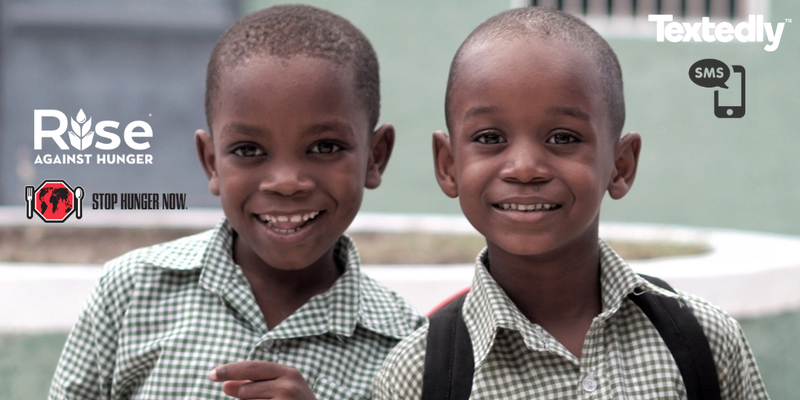 Rise Against Hunger has served over 74 countries and delivers millions of nutritious meals on a monthly basis. You also have the power to join in and help those who are in need not because of their fault. 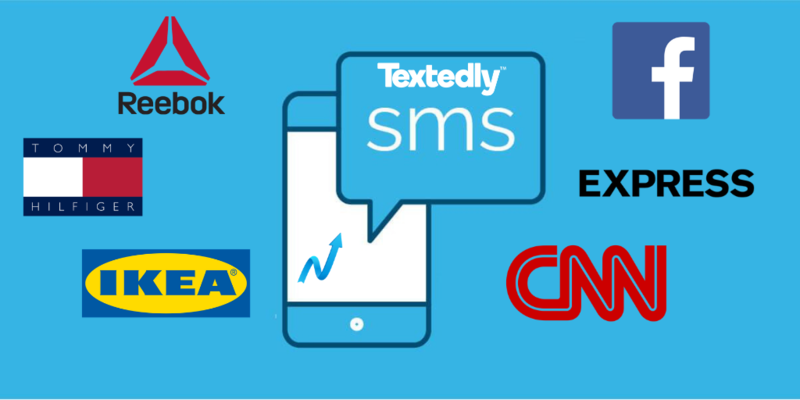 Textedly offers high-quality SMS marketing services in which you can be ensured by taking the free 14-day trial option. With Textedly you can reach up to 100,000 of your customers by sending bulk SMS and MMS text messages as required by your business. 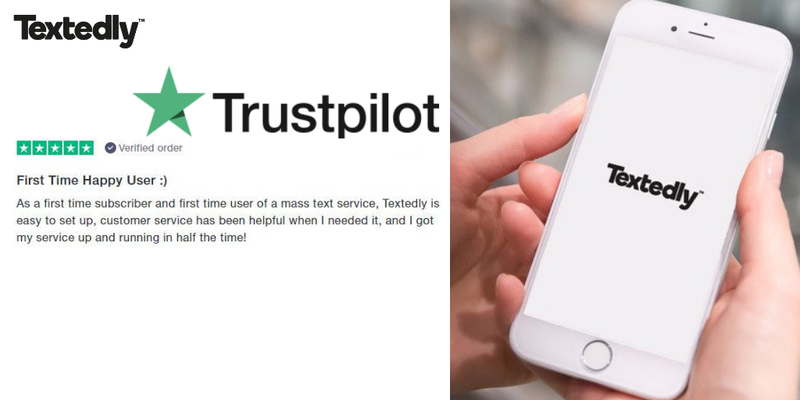 Textedly allows you to reach your contacts easily and in a matter of seconds regardless of the purpose of your text message: be it a marketing alert, sales event, coupon, discount, an announcement or a notification - you will successfully address your potential customers with our high-standard SMS marketing services. And last but not least, as already noted earlier, by means of our Impact Program, you will not only boost your business using our services but will also help hundreds of people, children and adults who are having a hard time facing hunger and poverty. Even the smallest investment can make a huge change. Mother Theresa noted once: “When a poor person dies of hunger, it has not happened because God did not take care of him or her. It has happened because neither you nor I wanted to give that person what he or she needed” - these words prove the power each of us has to stop starvation on the planet and put an end to poverty!